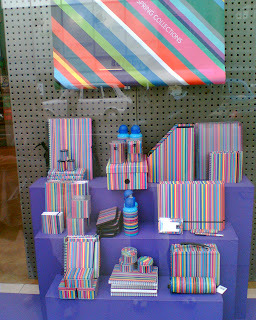 A good friend (Ezio shall remain nameless) is going a bit stripes-crazy, buying pretty much every Paul Smith pinstripes item sold on the planet. 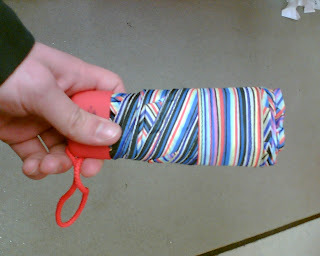 Last week, I found some (nearly) matching umbrellas as a special offer in the local Co-op. But yesterday, it all got a bit worse. This is the window of a stationery shop in Manchester's city centre. Ezio, you're a slave to the stripes, aren't you? What next? The iPod case? Or, as Jose keeps telling you, the boxer shorts?